RNZI reports the Toa beat Tonga 18-6 at the weekend in the Pacific Test to retain the Polynesian Cup while Fiji were upset 24-22 by Papua New Guinea in the Melanesian Cup. Rugby League International Federation Deputy Chair John Grant said the Test is a fitting way for Samoa to celebrate 30 years of rugby league in the country. Fiji Bati coach Mick Potter labelled his side's defeat to the PNG Kumuls a terrible result but said he was already looking forward to their next match. 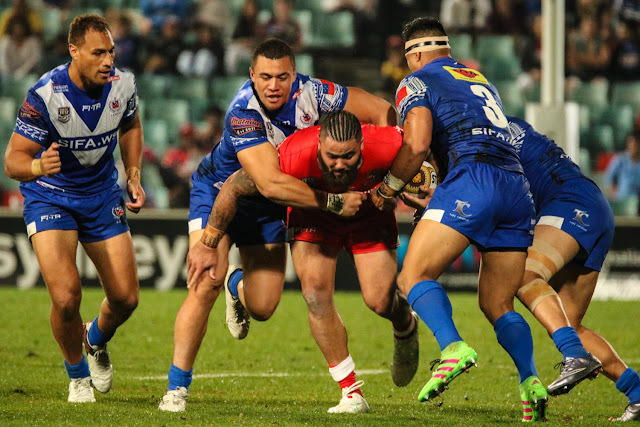 "It's great and we might have most of the players available for that one, given it's not mid-NRL season so that's good news for the Pacific Islands and I think that's a massive step forward for Fiji Rugby League and for Samoa so let's cheer it on and I can't wait to be involved." Along with supporting the match financially, the NRL will provide referees along with senior staff and management. Samoa and Fiji last clashed two years ago, with the Toa prevailing 32-16.